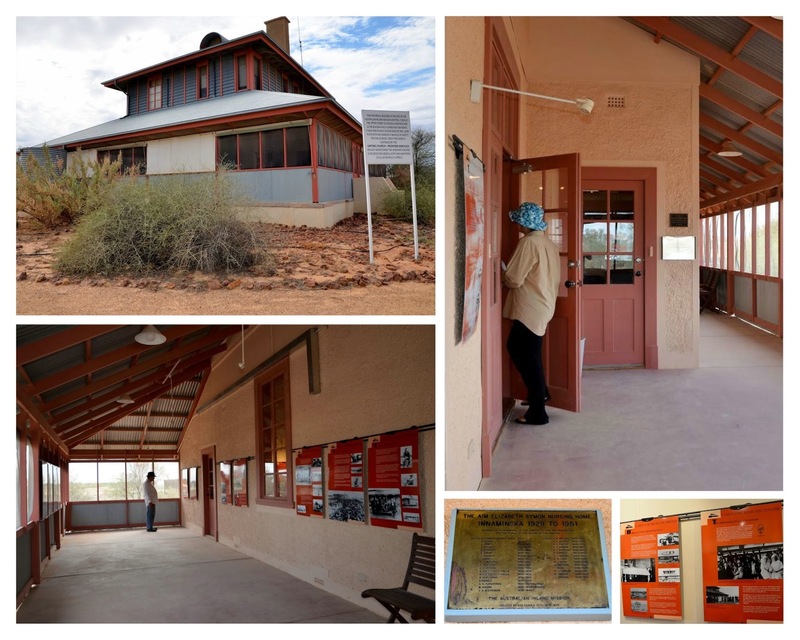 Freshly showered, we spent some time looking around the former Innamincka hospital building, now restored and in service as a museum and regional reserve headquarters. There was a large information display, mounted on boards around the rooms. We could easily have spent far longer reading them but Vaughan was keen to explore outside, so we followed him into the garden. There were several memorials. The largest was for the Peabody children. We knew their sad story from watching (and re-watching) our Jack Absalom DVD "On the Strzelecki Track". 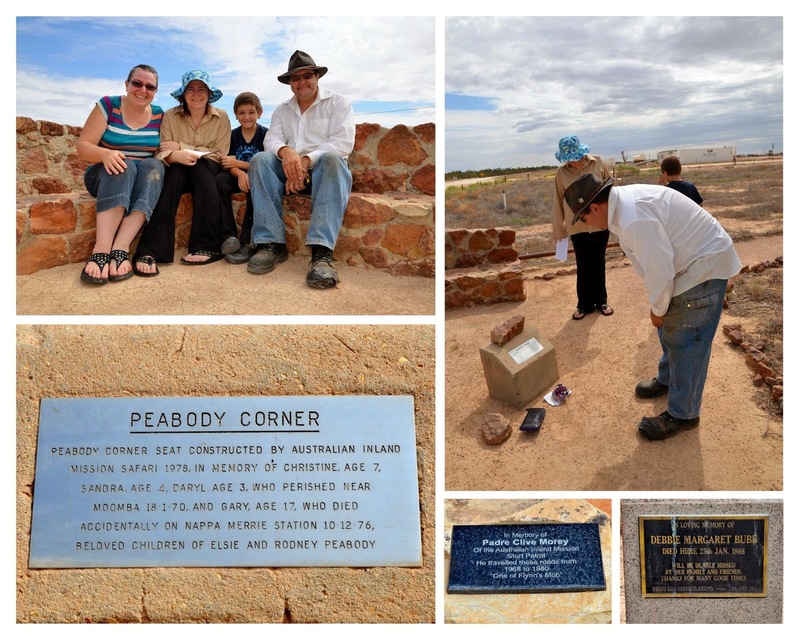 It was good to see a memorial had been built for them and their family. 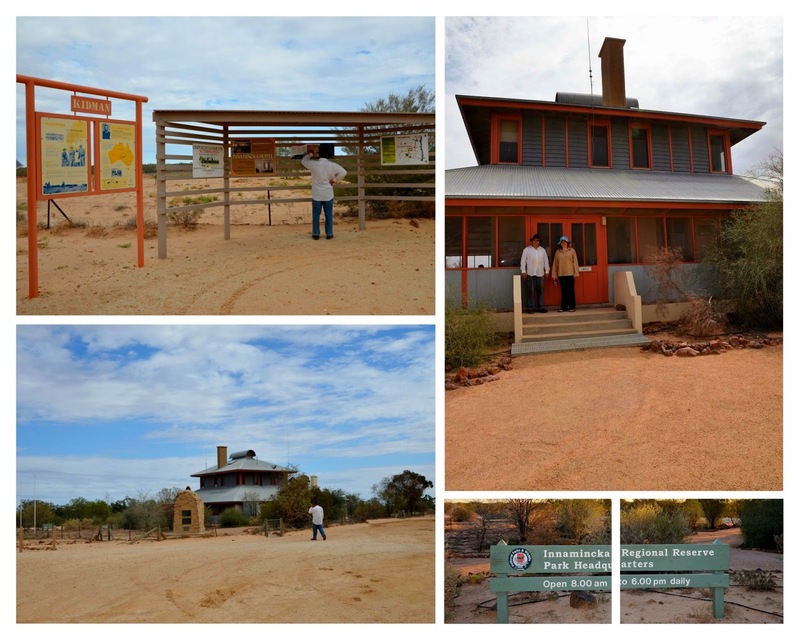 It was 56km from Innamincka to the Dig Tree, so we left the hospital to re-fuel Elmer in readiness for the drive back into Queensland.